“We don’t want to be bothered with housetraining, so we’ll get an older puppy,” she said, talking about getting her first dog. “Oh, please don’t!” was my reply. Housetraining is very simple if you know what you’re doing. So don’t let fears about that put you off. Your house won’t be ruined, there won’t be poo everywhere. If you follow this Guide to Errorless Housetraining closely your 8-week-old puppy will be clean and dry by 10-15 weeks of age at the latest. Just a few weeks in a lifetime with your dog. It’s a very short time and you’ll be building a bond with your puppy as you go (because there’s no crossness or telling-off in this method). 1. Poor-quality breeders (or greeders, as I prefer to call them) will have puppies left over long after they should have gone to their new home. 8 weeks is the correct age for that. So these pups - who could be any age, really - have been kept in a bare shed with a gang of other pups for months on end. They have had no socialisation (and no housetraining either!) and they may find it very difficult to adjust to a normal family life. Unwitting buyers may be told the pup is months younger than he actually is. Read up on how to recognise a puppy farm/puppy mill and don’t get caught by these chancers. Do you really want to take on this unsocialised, mentally neglected, pup? 2. Some competitive breeders produce litter after litter in their big operation, and pick pups to “run on” to see if they’ll shape up as potential prizewinners. Once these pups have got to six months or so they decide which one to keep and sell the rest - usually to ill-prepared purchasers who responded to an advert for a “puppy”. These dogs may have lived only with one breed of dog, kennelled in a big run of kennels. Some of the worst cases of fear or aggression I have to work with have come this route. Do you really want to take on a ticking time bomb? 3. Adolescence (5-14 months roughly) is the commonest age for dogs to be dumped in rescue shelters. (Don’t worry, I know that some dogs end up in shelters through absolutely no behavioural fault of their own.) So you have to be prepared that your chosen dog may need a lot of work to repair. People got a fluffy puppy. They may have housetrained it, who knows? They certainly didn’t do anything else they should, because now they’re abandoning their pet because … he’s unruly, he’s too strong on the lead, he runs off, he barks at other dogs, whatever. This is all because of their neglect in rearing and training their puppy properly. While giving a home to an abandoned dog is a laudable and kind thing to do, you owe it to your family to get the most suitable pet possible. Is this mixed-up, neglected, confused dog really right for your home? Tell me, (apart from exceptional cases where perhaps the caring owner died) where will you get a puppy who has been carefully and sensitively housetrained, is now six months old, lovingly trained and socialised - and yet someone wants to get rid of him? I know some of you will write to tell me just that. And you struck lucky! I’m delighted to hear your happy story. Possibly there was a genuine reason for the owner parting with the dog, or possibly you found a breeder who genuinely loves dogs (I know that sounds crazy) and who did all the work necessary to produce a sound and confident young dog. Housetraining is a brief interlude, quickly done, soon passed. 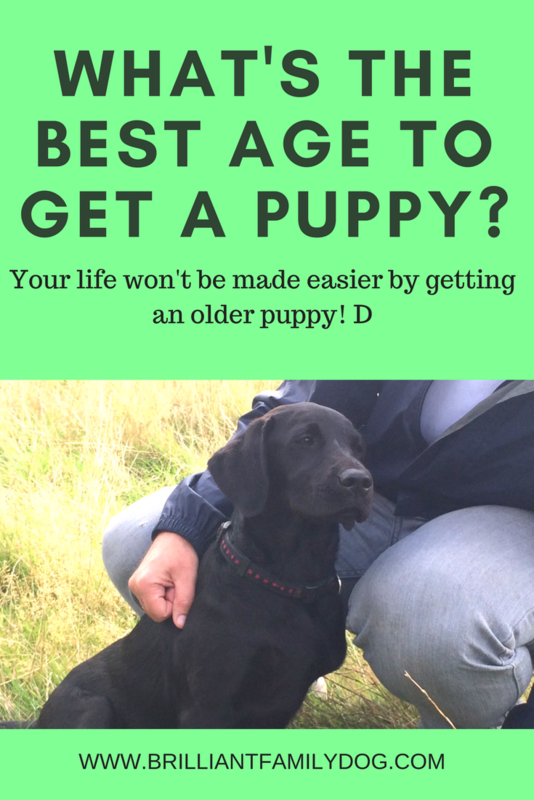 If you choose to skip it and get an older puppy there is a possibility you could be dealing with its other problems long after the housetraining period is over.